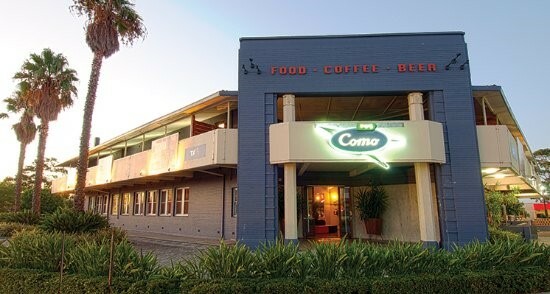 Part of the City of South Perth, Como is an established suburb bounded by Canning Highway and the Swan River. The most significant growth occurred in the Como area in the 1950’s and 1960’s and then again in the 1990’s when new dwellings were added. Only 5 kilometres from the Perth CBD, Como is a popular suburb and this proximity to the city means the median house price in the area is a good deal above that of the Perth median house price. A good portion of these homes are detached or semi-detached dwellings although a number of rental units have also appeared over the last few years. A dominant aspect of the Como environment is that of parks and reserves and in fact the suburb features the 27 hole Collier Park Golf Course and these features whilst lovely, can present problems to Como residents when swooping magpies can attack them during the bird’s breeding season! Possums and rats are also common pests in homes in Como. The presence of these pests is evidenced by thumping or scratching sounds in the ceiling at night but luckily Perth Pest Control is highly skilled at the removal of these pests from Como houses. Most common household pests are found in Como – ants, cockroaches, Portuguese Millipedes etc – and Perth Pest Control’s methods of removal of these pests are proven ones that eliminate the pest problem efficaciously using eco-friendly treatments. Of course with the high median house price of Como homes the big danger – both physically and fiscally – is termites. Termites are ever present and can cause enormous damage to a house but there are ways to protect the family home against these voracious pests. A fully warranted termite barrier around a building should be mandatory and it must confirm to Australian Standards. This barrier can take to the form of a liquid barrier for established homes or a physical barrier for buildings under construction. Of course an ounce of prevention is worth a ton of cure and at Perth Pest Control we always recommend having a termite inspection conducted on your home every year and again, this needs to be done to Australian Standard AS3660. This will give an indication of any termite activity present in your Como home. Contact Perth Pest Control today to organise a termite inspection, or general pest control, in the Como area. We are a 100% WA family owned and operated company that is here to help you.